As I Live and Breathe (2017). 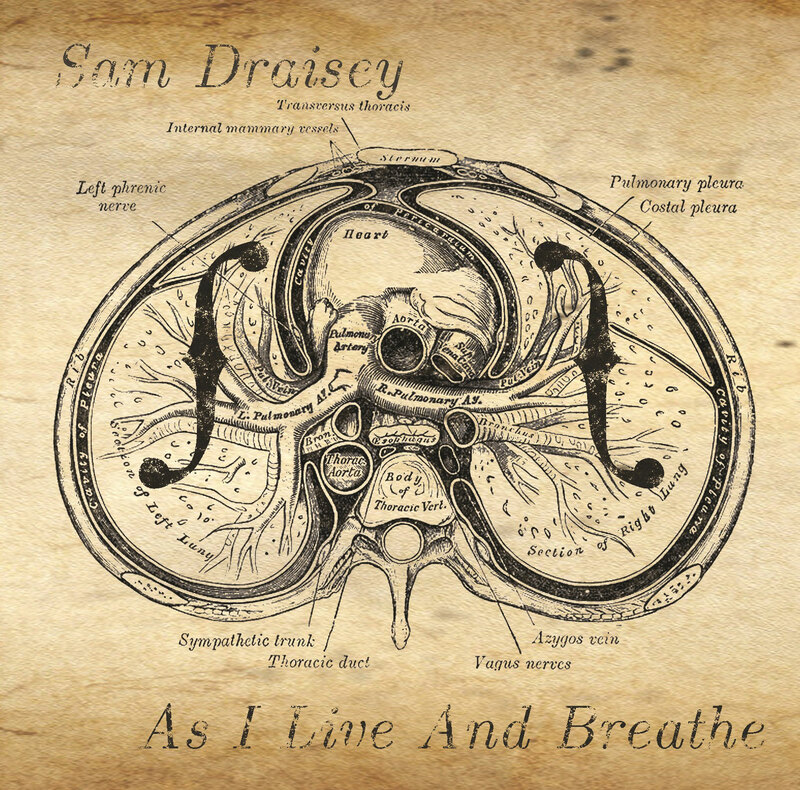 'Wolverhampton's Sam Draisey hides a deceptively powerful voice inside his slender frame. The 29-year-old exercises his vocal chords on his new record that will be a hit with singer/songwriter fans. It's a mixture of softer folk and country vibes with a drop of gritty rock here and there. He sounds a tad like an angtsy James Blunt when aiming high and a young Brian Molko when sinking low. Quite a combination, eh? The guitar plucking on display from the Unsigned page star in The Ticket is talented, and the soft anarchy that flows through some of his tracks is a joy to hear. There is a kind of been there, done that feel to the tracks, too. It's a confidence and assured nature which breathes experience rather than cockiness and arrogance. Take opener Roots. A forlorn melody accompany's Sam's voice for a track that oozes gloominess but stops short of heartbreak. It's a good sound. Upbeat crescendos permeate Five Years Later, a protest song that inspires rather than scaremongers. This is the kind of track which can fall flat on an unsigned release, sincerity and seriousness can get lost among bad production values. But Sam and his band avoid the pitfalls with ease, he produced and mixed the tracks himself so he shows a keen musical ear in more ways than one here. Anger does break through in Used To Be My Hero - a different side to the vocals than heard previously. His gentle approach to the music allows his voice to take centre stage. It helps get his message across without being hidden by a wall of sound. Perhaps the highlight moniker falls on Turning You Down, a lovely slow burner that grizzles raw energy when the rock outro kicks in. This is a fine example of doing things yourself and could herald the start of something big for Sam Draisey. Scott Matthews has done it, is it time for somebody else to break out?